This one is a real treat of colour. 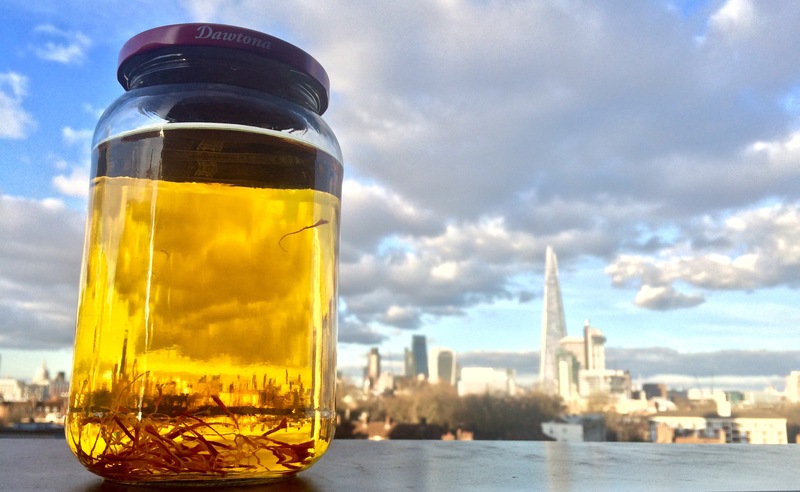 I have taken the rarest, most expensive spice and infused it into the most elegant of drinks, although note that you can buy very high quality saffron gin ready made here. I cannot claim credit for the original recipe. 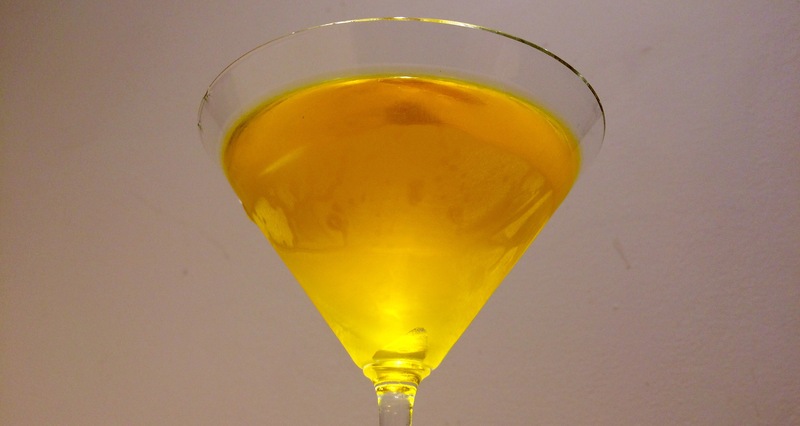 It has been created before at the incomparable martini setting – Dukes Bar, although they made it with vodka. You can see an instructional video by the venerable Toni Miccilota here. My recipe differs ever so slightly (I use gin for a start), but it is essentially very similar. 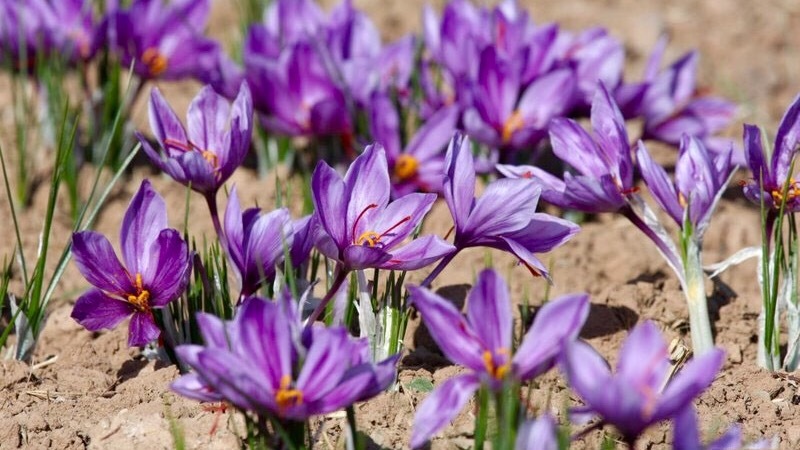 Saffron consists of the styles and stigmas of the saffron crocus. The tiny little red ‘threads’ have been hand-picked and used in cooking for over three thousand years. It has a grassy taste, evocative of wheat or hay and the warmth of the late summer harvest. Its strong colour also imparts itself easily to food and drink, making it popular in otherwise pale dishes such as rice. 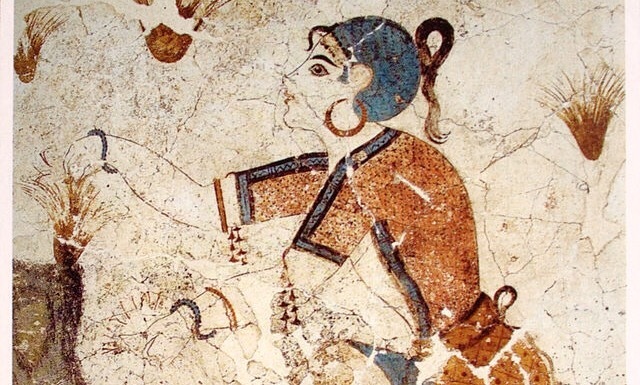 An ancient Grecian harvests the spice. Originally found in the eastern Mediterranean and wider Middle East the plant has since been cultivated in several warm, dry regions around the world, which thankfully for Brits, include some rare parts of Essex and Wessex in southern England. 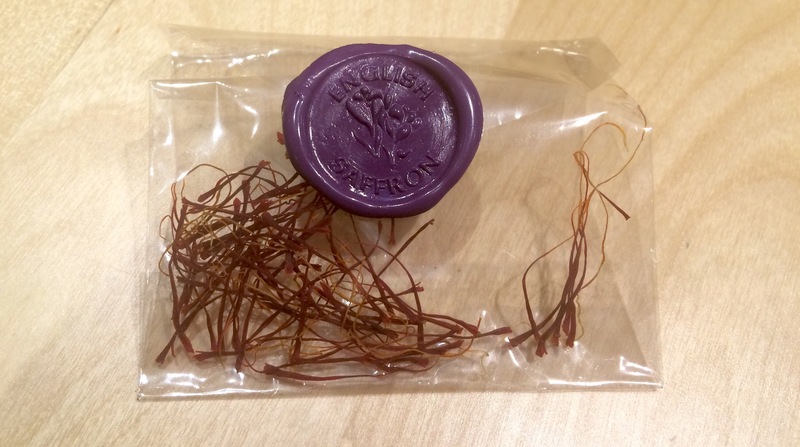 I was sent a beautiful batch of English Saffron from a friend who lives in one of the few areas: the town of Saffron Walden, named after its famous produce. Saffron was first harvested in the town in the 1500s. I love the English Saffron packaging, with the gold-coloured metal metal box and a medieval-style wax seal on the plastic container inside. I added 0.2g of the saffron (which equates to one of the bags from the English Saffron company) to a litre of gin. Give it a good shake then leave it for around two days. The colour, flavour and aroma transfer very quickly. Remove the saffron strands. I found it easiest to do this with a pair of chopsticks but you could strain the gin through a sieve as well. Put the gin into the freezer and leave for at least 8 hours. I left it in there overnight. When it’s time to pour, make it just like a classic martini with vermouth to your taste preference, topped up with the saffron gin. 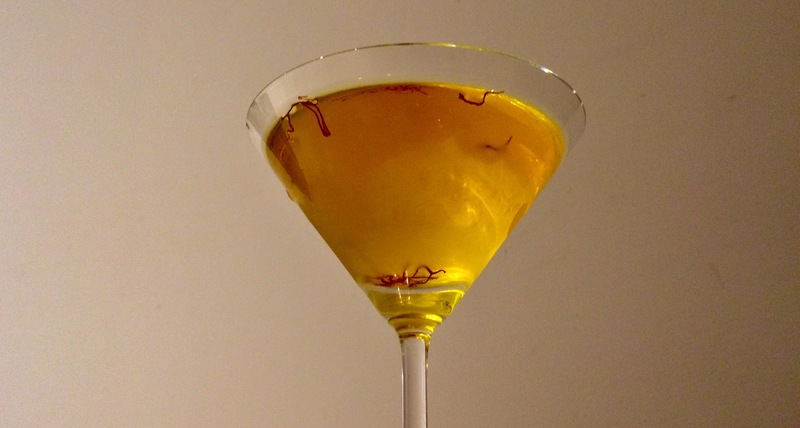 Stir the drink, then garnish with some additional saffron strands. I tried to be frugal but you can put in quite a lot of you want a really strong flavour. I would recommend around 8 threads. This entry was posted in Infused Martinis, Salt and Spice, The Diary and tagged Devon, england, essex, saffron by themartinidiary. Bookmark the permalink.